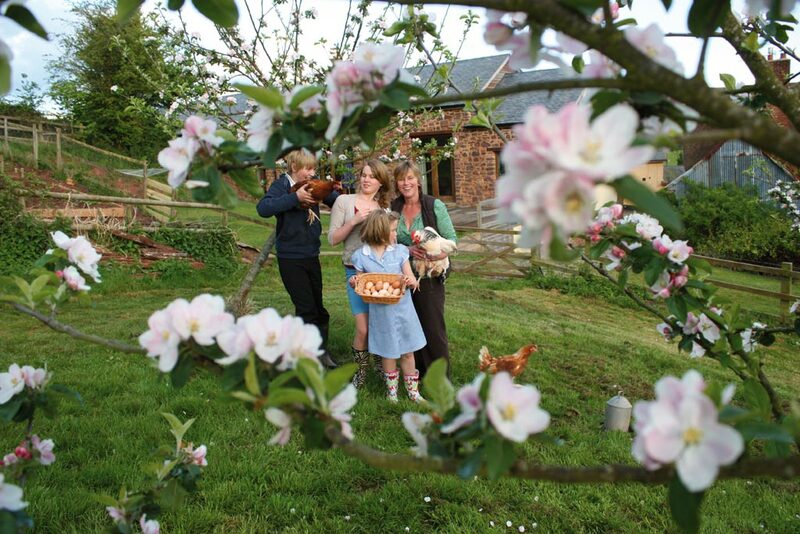 Feel free to explore our 21 acres of lush fields, woodlands & orchards. Go and say hello to the sheep, throw some veggie scraps for the chickens or simply stroll about without a care in the world. We have, in recent years participated in a countryside stewardship scheme encouraging conservation of wetland sites, restoration and maintenance of ancient field boundaries, hedges and orchards. We are delighted to say nearly all our energy and heating requirements are provided by our own on site green technologies. Experience the simple things in life. Collect the eggs or paddle around our pond. A rope swing from a tree always proves to be great fun! Even when the weather isn’t quite what we wish for, there’s still plenty to do and keep yourselves occupied without having to get in the car.